"Thinking that our relationship was about to get complicated might have been an understatement"
So it has taken me a while to actually read this book. I kept putting it off. I had read that T.J is in remission from Cancer. I thought this was going to feature heavily in the book and I usually steer clear of books involving the big C, but some book friends said this was a must read, so on holiday, whilst sunbathing by an amazing pool, I finally took the plunge. They were totally right, it is a must read and I really don't know why I waited so long to read it. Because of the hype, so many people telling me telling me to read it, I had set the bar high and it was amazing, but maybe I had set the bar too high because I can't quite bring myself to give it 5 stars. The book is about T.J and Anna. Anna has accepted a job for the summer tutoring T.J whilst he is on a family holiday in the Maldives. T.J's family have gone on ahead and for different reasons T.J and Anna take a later flight. Unfortunately the pilot on their seaplane has a heart attack and it goes down. They luckily both wash up on an island and have to learn how to live there whilst awaiting rescue, which may not arrive. Another reason that I was slightly put of the book was the ages of the characters. T.J is 16 years old at the start of the book and Anna is older at 30 years old. However a lot of time spans in this book and you can feel the characters growing and evolving during it. Nothing happens between the characters until T.J is older and towards the end of the book I no longer thought of T.J the young boy but T.J the man. 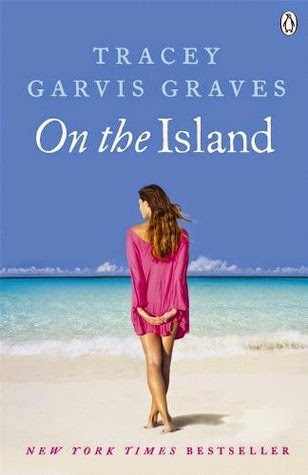 I have to say that the book wasn't quite what I was expecting and whilst I loved T.J and Anna's relationship develop whilst they are on the Island, it was actually the aftermath that gripped me most. Tracey did an amazing job of getting the feelings and opinions I would imagine would follow that experience for those effected. There was a lot of emotion in the book, not enough to make me cry, but I am known as the Ice Queen, so you may find that you do cry at parts. "the hope I'd clung to since our plane went down splintered into a million tiny shards that day, like a glass block someone pounded with a sledgehammer." One thing I loved about this book is that it is told from dual POVs which really helps you understand what they are both going through and really makes you feel connected to the characters. I totally got lost in this book and it was an extremely easy read. If you still haven't read it, you really must, it is a book that will stay with you and you will be thinking about it for many days, and from what others have said, months later too. Go and one click it now! "You weren't supposed to fall in love" she whispered. "Well, I did" I said.